Pretty Little Liars Photos from "Whirly Girlie"
These photos are from the upcoming episode of Pretty Little Liars titled "Whirly Girlie." Enjoy! 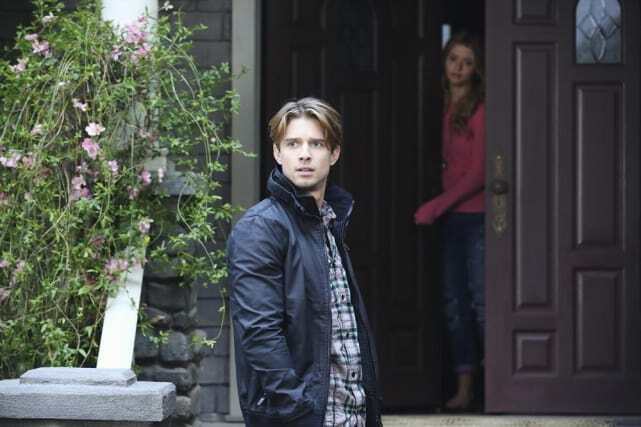 Alison opens the door to see Jason in this photo from "Whirly Girlie." 3. What Do You Want Jason? Brother and sister share a conversation in this photo from "Whirly Girlie." Alison looks happy to be home in this photo from "Whirly Girlie." Alison looks comfortable and fashionable in this photo from "Whirly Girlie." Pretty Little Liars Picture Preview: What's Ahead?